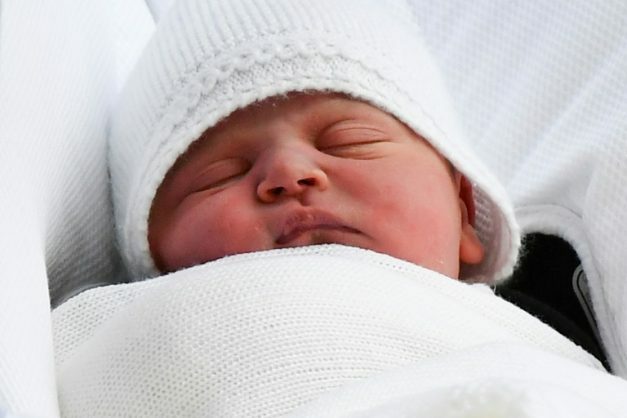 Prince William and his wife Kate’s baby son Prince Louis, who was named Friday, is fifth in line to inherit the British throne. His arrival on Monday meant everyone below moved down a place, including William’s brother Prince Harry who dropped from fifth to sixth position. Queen Elizabeth’s descendants are followed by those of her late sister princess Margaret, her only sibling. The offspring of their father king George VI’s siblings then follow. There are more than 60 living people descended from his father king George V, who died in 1936. Only people descended from Sophia of Hanover can inherit the throne, according to the 1701 Act of Settlement. The monarchy’s website goes down as far as Zara Tindall, though some counts list more than 5,700 living descendants of Sophia, including Roman Catholics, who cannot inherit. The highest excluded person is 26-year-old Edward Windsor, Lord Downpatrick, a first cousin twice removed of the queen, who converted to Catholicism. He would otherwise be 37th in line. In changes to the succession laws which came into effect in 2015, males born after October 28, 2011, no longer take precedence over their older sisters. Also people married to Catholics are no longer excluded, with Downpatrick’s father George Windsor, the Earl of St Andrews, the highest person restored to the line. The line is a vast tangle of nobility and ordinary, untitled descendants from all corners of Europe. Several other European monarchs feature. Besides Britain, it is also the line of succession to the thrones of 15 other Commonwealth realms.